Car flip-down carbon fiber gadget only. Buy this only if you need to replace a broke car carbon fiber gadget. DOES NOT INCLUDE: The wiring, switch, remote, remote control box. 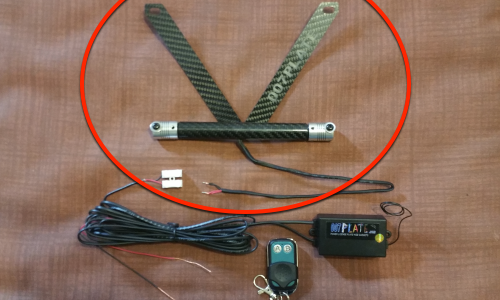 Only includes the carbon fiber flipper and about 2-3 feet of wiring to connect this gadget to the rest of your wiring already install on your vehicle.